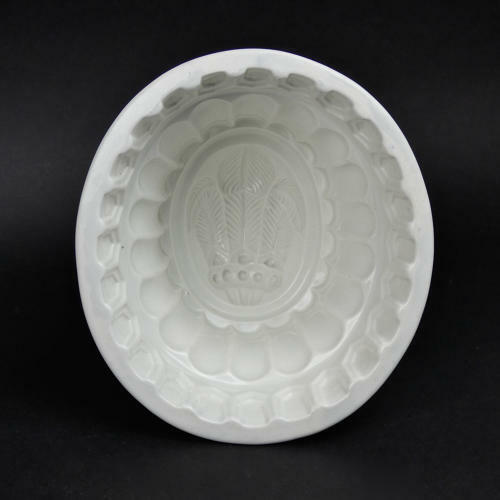 A Victorian ironstone jelly mould with a Prince of Wales feathers to the base. This mould is made from a very heavy ironstone china and it dates from c.1860. The design has a very well detailed Prince of Wales feathers to the base. The top section of the sides is fluted and the border around the rim is like pointed top fence panels. It is in excellent condition and, due to the crispness of the design, it would turn out very well.